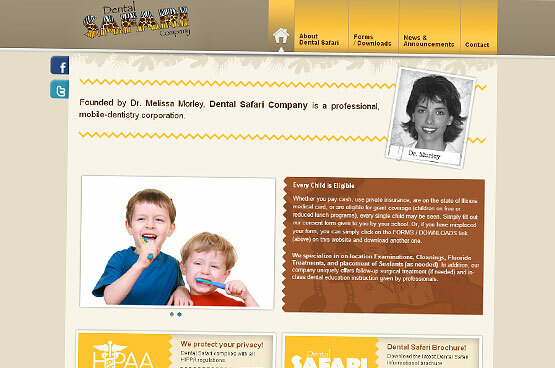 The Dental Safari Company is a very unique mobile dental services company. Dental Safari’s mobile dental office is a self-contained, fully-functioning dental operatory where children receive the same professional services as those performed in a traditional office. They bring the dental office to you. 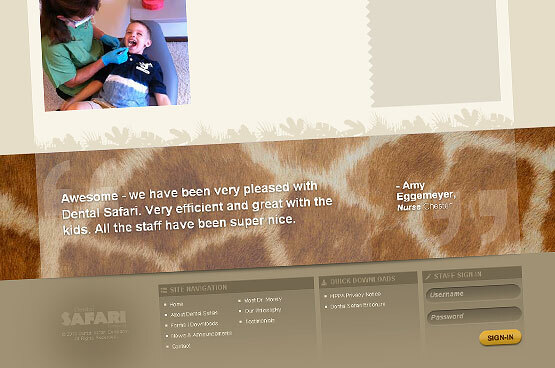 The Vertebrae Group was tasked with redesigning the website to accommodate the growth of the company. 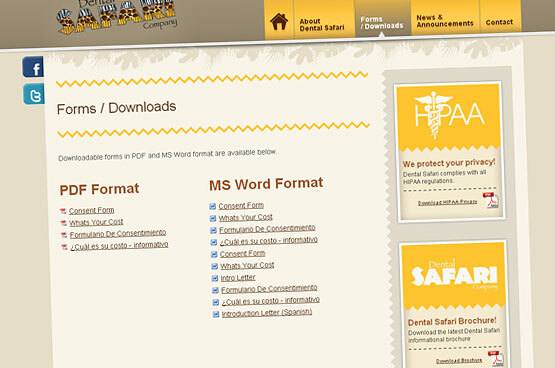 We consulted with Dental Safari on ways to streamline and improve communications for the teams in the field. The new website features a staff log-in area to manage appointments in the field, time tracking for team members, and a repository for important documents.